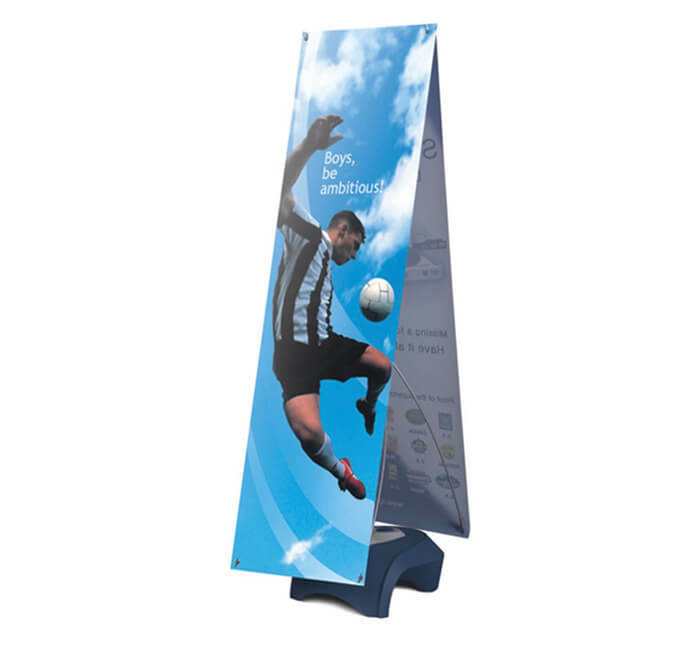 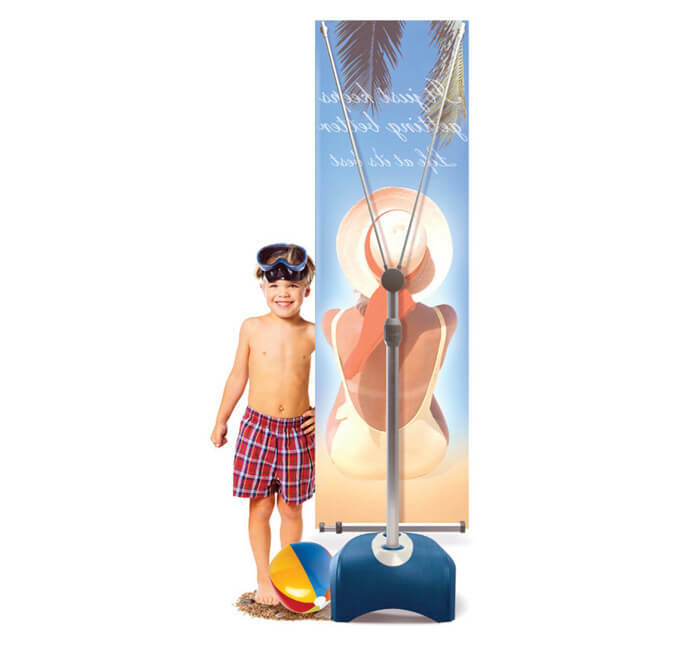 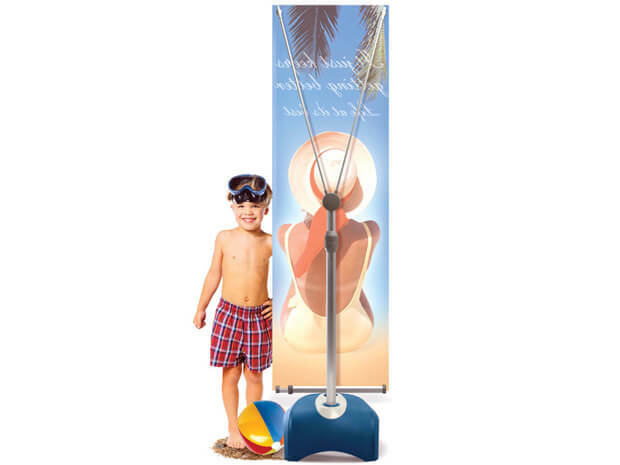 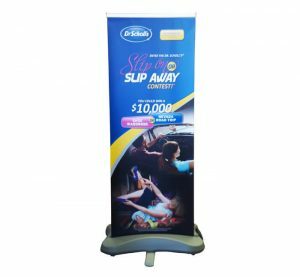 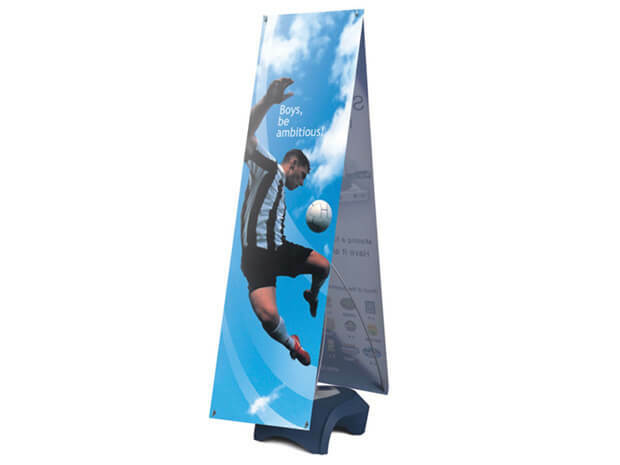 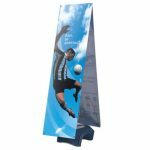 The Outdoor X Stand is a perfect way to display your custom printed graphics, especially in outdoor events or brand activations. 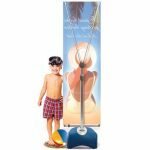 With its strong construction and heavy base, filled with water or sand, the Outdoor X Stand can withstand most weather. 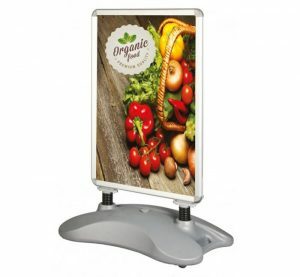 Move it easily around with a wheeled carrying case and set it up in minutes.